Holy. Crap. I went into this novel with a completely open mind... and that mind was just blown! This novel is epic! That's seriously the best way to describe it. 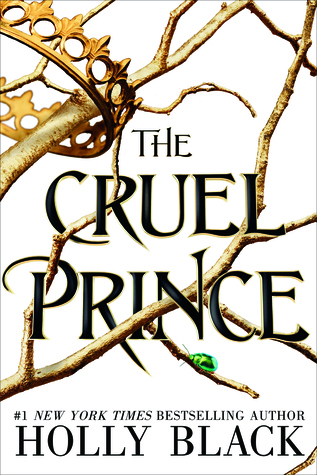 If you love stories about the fae, you will not be disappointed with The Cruel Prince. It is the perfect blend of fantasy and the mortal world. I absolutely loved the complex characters and the constant build of anticipation. Jude and her sisters have been forced into the faerie world (that's all I'm going to say because I don't want to spoil anything) and they have to learn how to fit in or get tougher skin. In Jude's case, she learns to toughen up. I absolutely loved her character and appreciated the fact that she did not take the easy way out of her struggles. She fought to survive and became power hungry in the process. I typically enjoy trustworthy narrators, but in this case I really loved that no one, not even the narrator could be trusted. At the beginning of the novel, Jude started out as a tough and ambitious young woman who just wanted to belong in the fae world. By the end of the novel, she was shocking the entire kingdom (and me!) and becoming more of an antihero, which I totally did not expect. I loved the novel from start to finish and highly recommend it to readers who enjoy young adult fantasy stories. 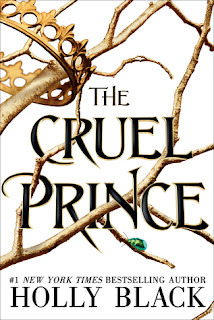 The Cruel Prince is a must read and I can't wait for the sequel! Thank you to The Novl for sending this free copy in exchange for an honest review.